CARBONDALE, Ill. — Southern Illinois University Carbondale’s agriculture research efforts have received quite a lift through the Kuehn Research and Education Center. 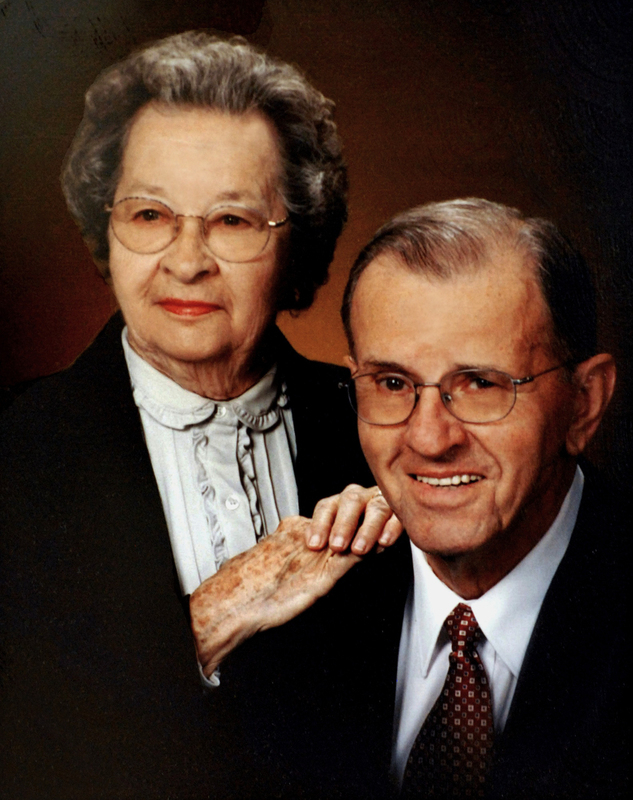 SIU Carbondale’s College of Agricultural Sciences is the beneficiary of a significant estate gift to the SIU Foundation by the late Harold and Nora Kuehn. This gift includes the Kuehn farmland, located in Dowell, just 15 miles north of Carbondale. In accordance with the wishes of the estate, a portion of the property was sold for the purpose of funding scholarships in support of students pursuing degrees in Plant and Soil Sciences, and Animal Science, Food and Nutrition. The remaining acreage will be used for research and educational purposes. Jarrett Nehring, director of University Farms, says this will benefit the University and region well into the future. “Having access to the Kuehn Research and Education Center is beneficial because we have large fields to conduct large-scale research. Most research on the Carbondale experimental farms is small-scale,” Nehring says. “It also provides another location for SIU researchers — such as our Weed Science and Soybean Breeding Group — to conduct their own research. Jim Klein, an assistant scientist, agrees with Nehring’s assessment. Nehring says maintenance is priority on the property. 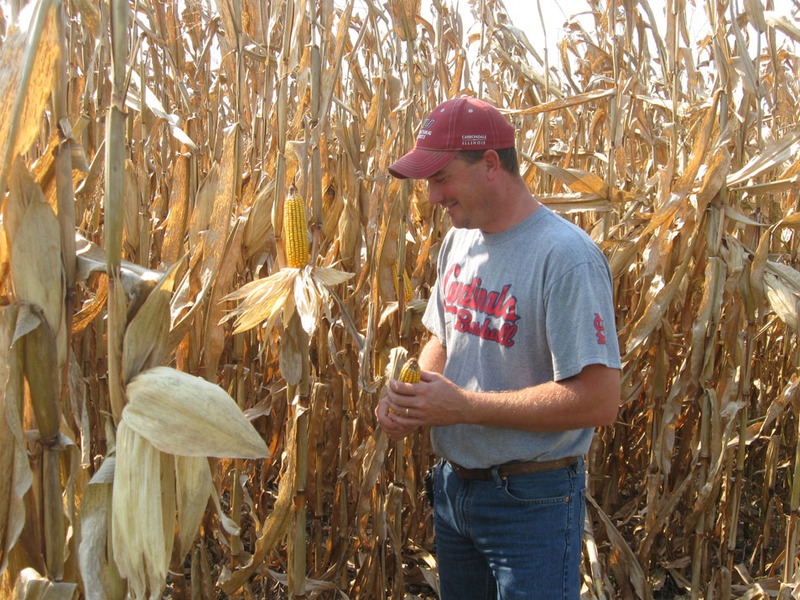 A member of the SIU agriculture research team since 2000, Nehring never met the Kuehns. But he aspires to make sure the Research Center reflects the commitment they had to the agriculture industry and to SIU Carbondale. “I’ve heard great things about the Kuehns. I understand that Mr. Kuehn was always on the cutting edge and wanted to be involved in research,” he says. “The Kuehns believed in doing things the right way. Nehring says the University will honor the Kuehns’ legacy well into the future. Todd Winters, dean of the College of Agricultural Sciences, says: “We’re in the beginning stages of providing larger scale research to southern Illinois farmers. In the years to come, it will become a very beneficial center. Our plan is to make it is focal point of research and education. Harold Kuehn, an Elkville native who received a bachelor’s in agriculture from Southern in 1951, became the first president of the Ag Alumni Society of SIU. He served on the board of directors for the SIU Alumni Association, including one year as president, 1984-85; and was a SIU Foundation board member for more than a decade, residing as its president from 1991-1994. Harold received distinguished service awards from both organizations, in addition to the Alumni Achievement Award from the College of Agriculture in 1996. He was on an advisory council to three SIU presidents. A U.S. Navy veteran of World War II, Harold was a career farmer who produced grain and livestock; he was recognized with an Illinois Master Farmer Award. He was president of the Illinois Soybean Association in 1968 and one of its founders. 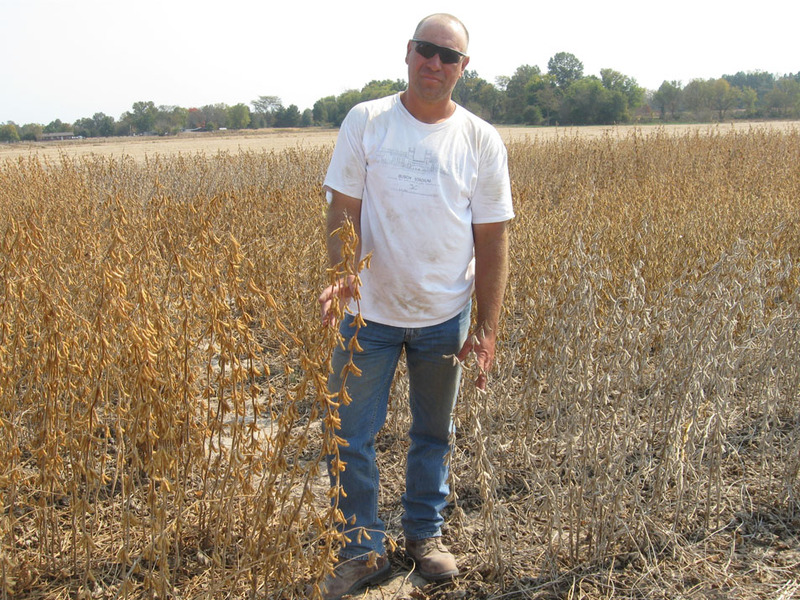 The organization still funds a large amount of research at Southern, including the soybean breeding program efforts at the Kuehn farm this year. Kuehn’s leadership went well beyond the State of Illinois. Harold traveled to 49 countries doing market development work for the Foreign Agriculture Service in USDA and American Soybean Association, including the first trade mission to Russia in 1972. He was the American Soybean Association president at the time. Nora worked at Croessman Wholesale Co. for 25 years before retiring and selling the business to two of her employees. She was a member of First United Methodist Church in Du Quoin. She often accompanied Harold to University events, and particularly enjoyed baseball and basketball. The Murphysboro native traveled to 38 foreign countries during the time of her husband’s service to agriculture.